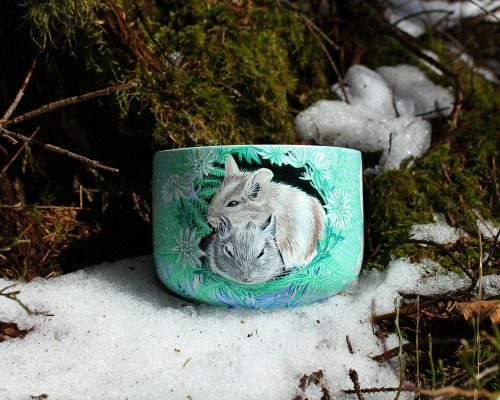 When I lost my tiny pet friend I was heartbroken. I hardly got any closure as almost nobody understood my pain. 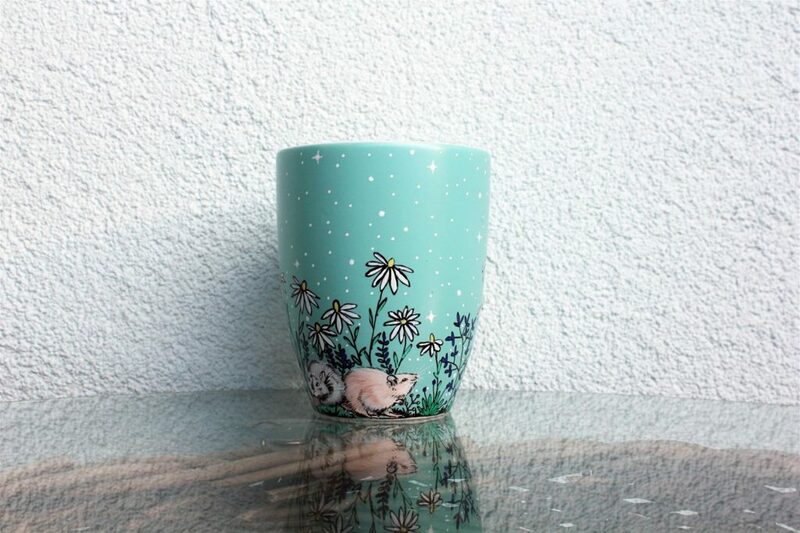 I know how painful it is to lose a beloved pet, even though it’s a small animal. It feels like they took a piece of your heart with them! 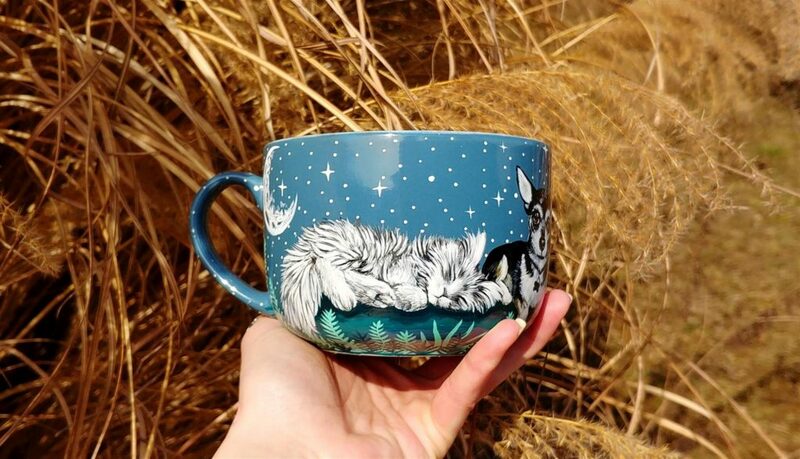 I think it’s really a beautiful thing to do, to make at least a cute memo of your beloved pet. As they were with you only a part of your life, but they spend their whole life with you. 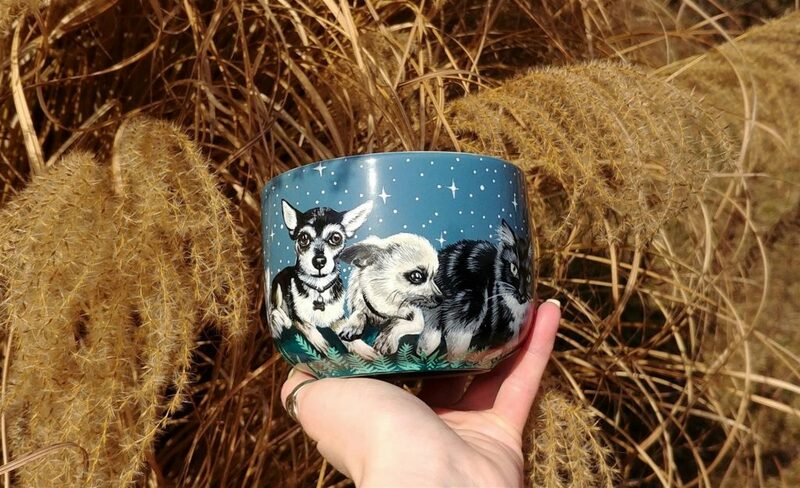 So, a few months after I lost my Shy (the one with halo above her head) I decided to make myself a hand painted pet mug. 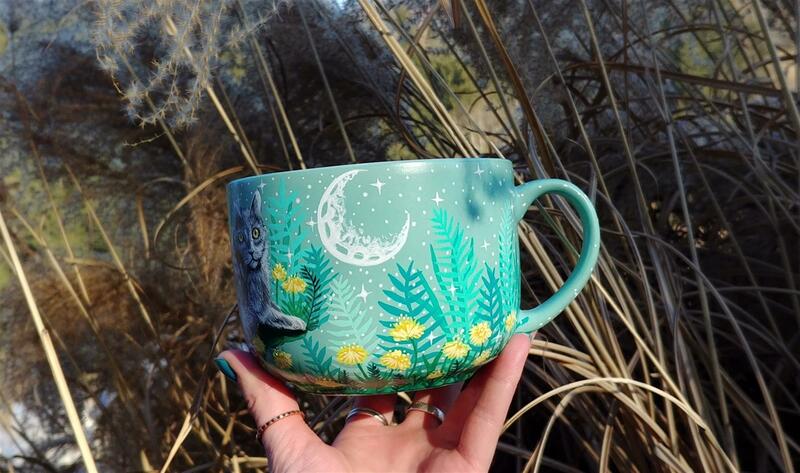 I guess I always was a big tea, coffee, lemon water, I don’t know what else drinker and I wanted to have a cute reminder of them. 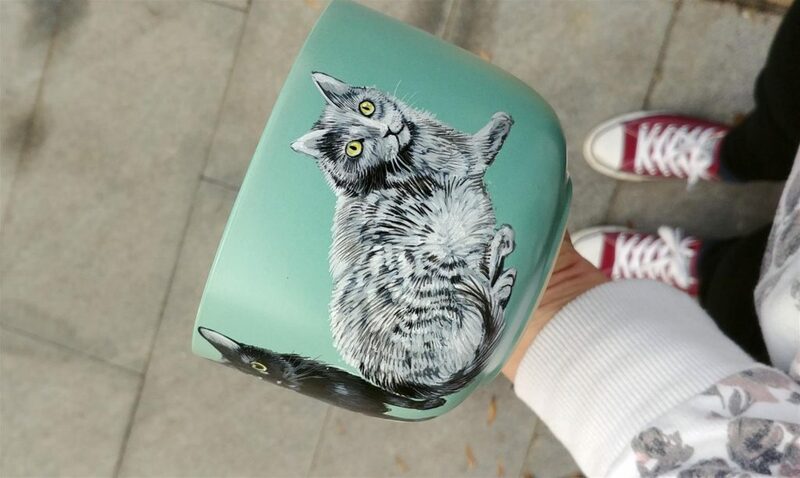 So when I pick up a hot coffee mug in the morning and I can see their cute faces it just brightens up my day :). I miss them so much. Especially because Shys sister not long ago, went over the rainbow bridge too… It hit me soo hard. 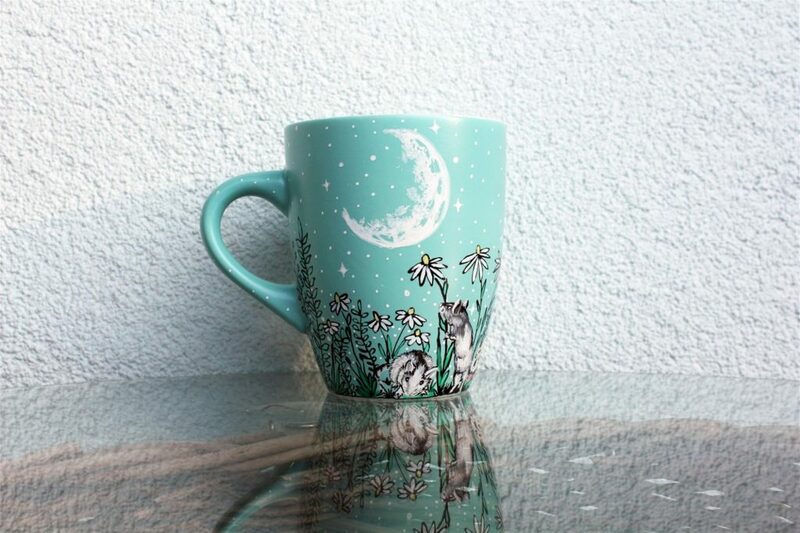 So the mug with their faces is really a cute heartwarming reminder of my witty little things! 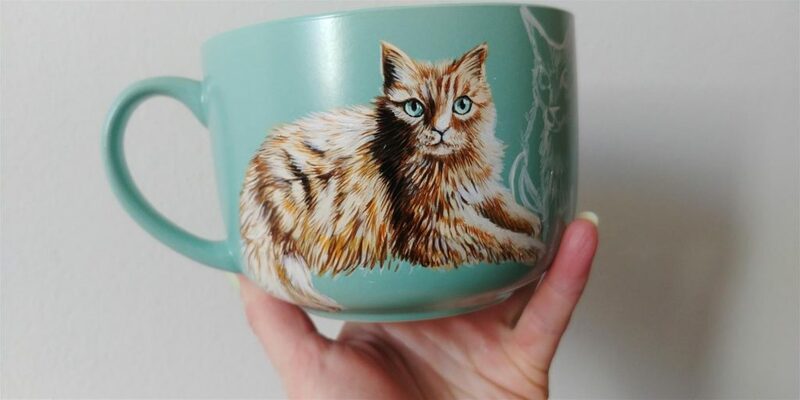 But i think it’s time to do a new hand painted mug with bigger figures of my pets. 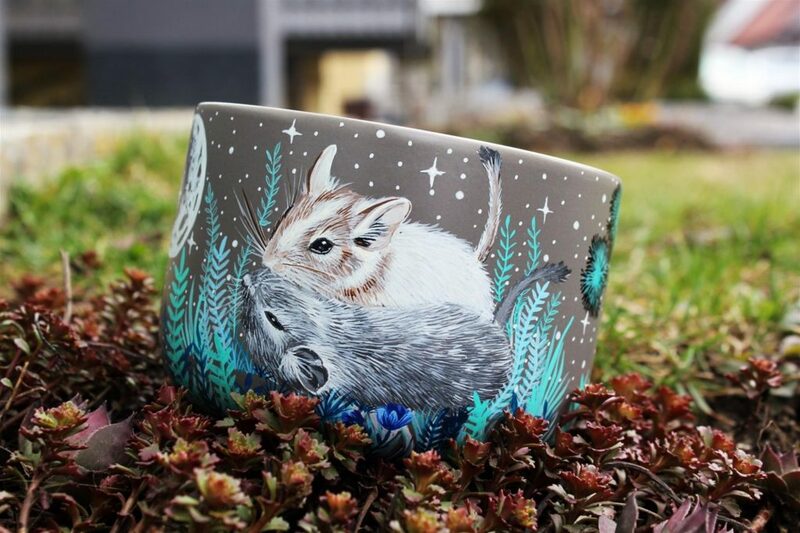 Maybe like I made these two pet mugs for my dear friend with her chilean squirrels :). 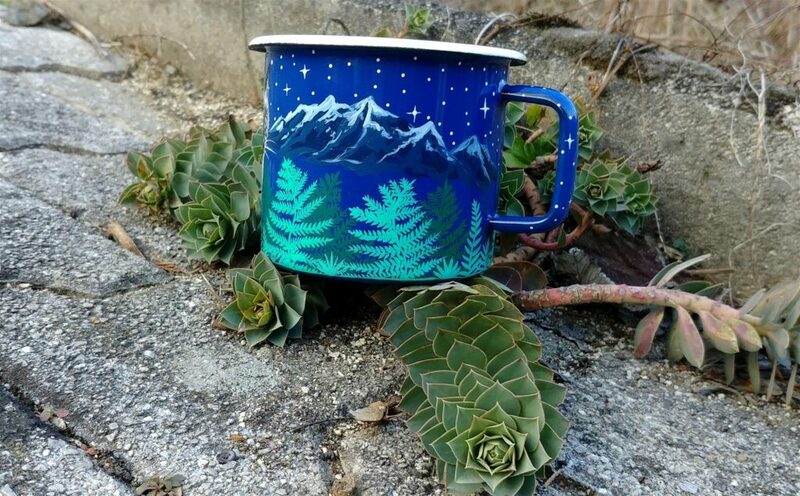 I’m pretty proud of those two mugs! 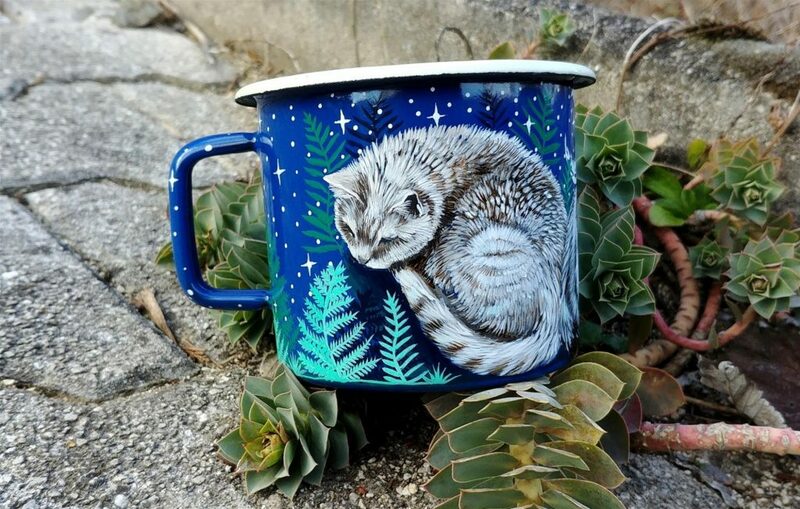 So after that, I put my first attempt of hand painted pet mug on instagram to see how people would respond. And I got a pretty nice feedback! 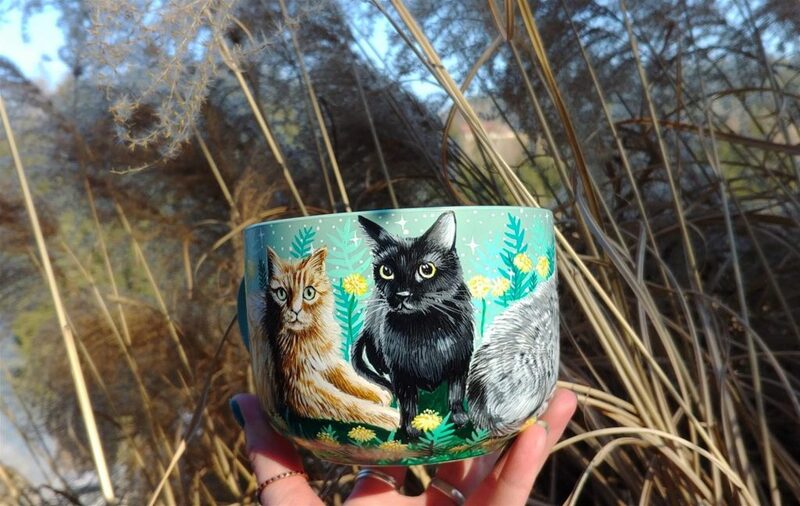 I just made a listing after that and after a few weeks put it on sale and cha-ching! 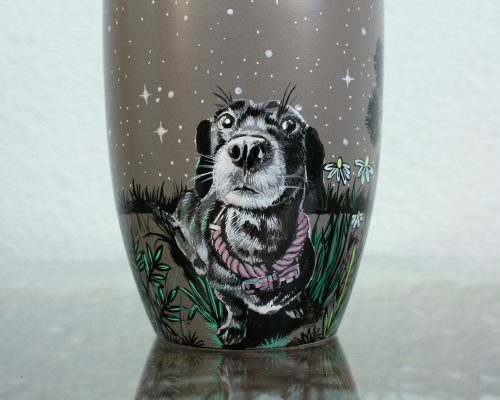 The first customer ordered a first pet mug with a dog. I was over the moon! A few days later I got yet another order and that gift packages was the first one to be sent over the ocean. It was so exciting! 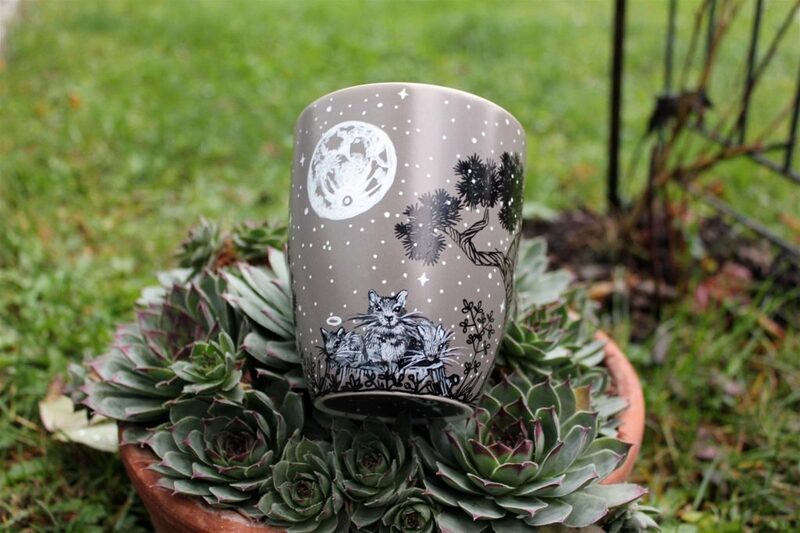 When mugs arrived to new homes, the feedback was amazing. In the end it was all worth it. So I decided ”this is what I wanna do”! 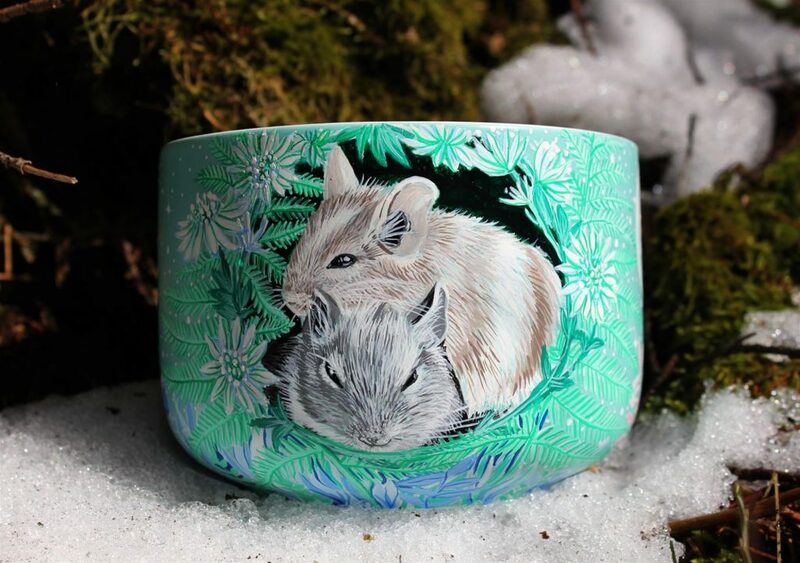 I also painted tiny rats on a beautiful turquoise mug for my sister, who lost her beloved little friends some time ago. 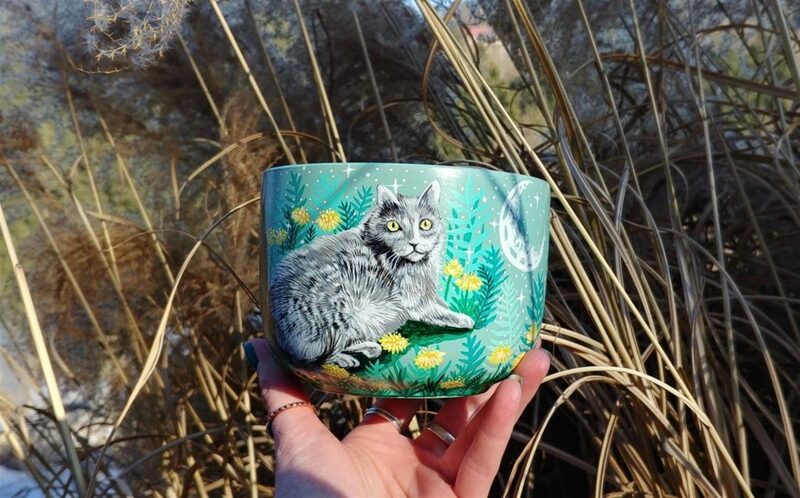 I just love to paint animals and I LOVE to make people happy. It gives me the feeling that I’m on the right path. 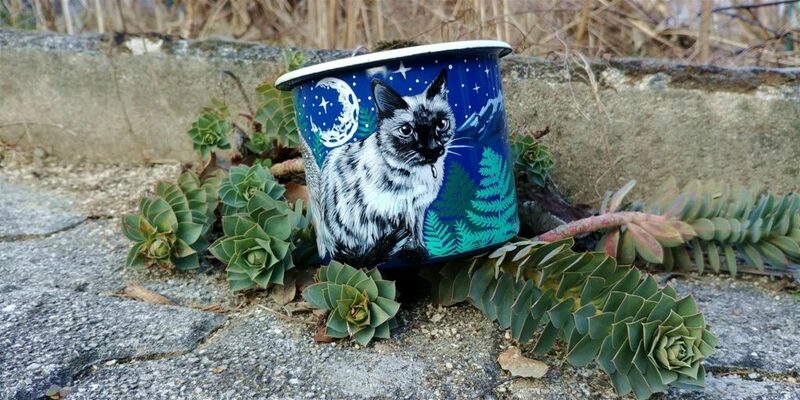 Here is my first attempt of hand painted pets on the enamel mug with ferns and mountain background! 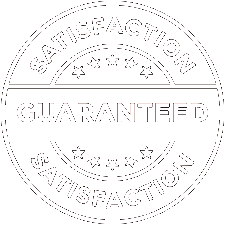 I just can’t tell you how glad I am when my costumers are happy! I just wish to see them when they unwrap their packages :). 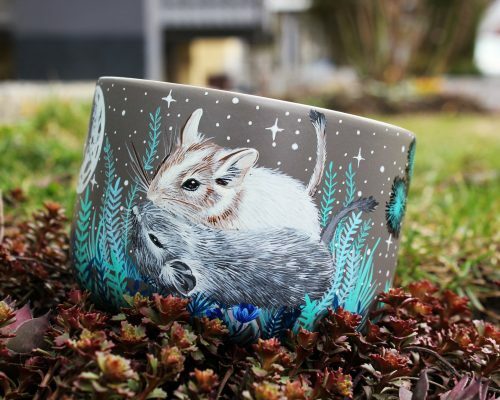 Fell free to check out my shewolfka shop and my Etsy store!